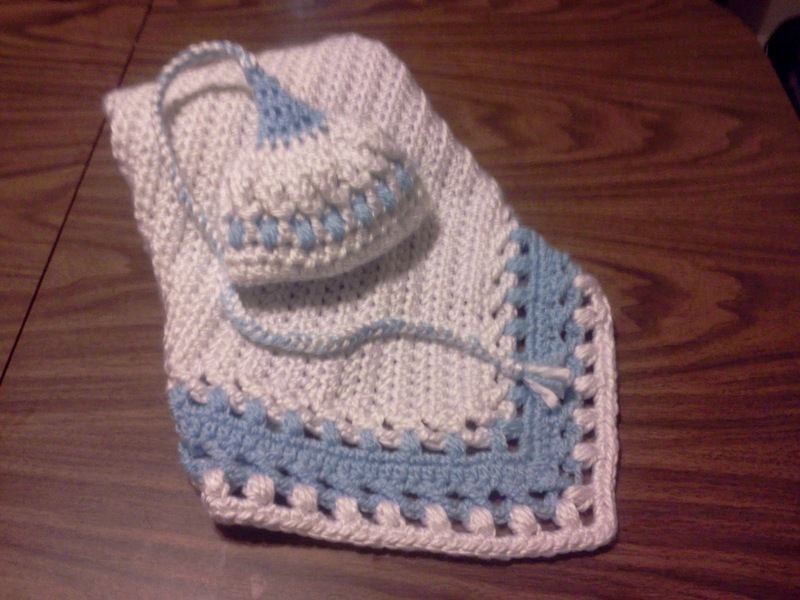 Mama Nettie's Crochet: Enter To Win!! Hey guys! I am posting a pattern for my first time! If you try it I'd love to know what you think. I wish I had a tiny baby to photograph this blanket and hat set on and with but my sweet little ones are getting so big! Anyway, the pattern for the blanket is below, I wasn't brave enough to try writing out the pattern for the hat just yet. I will also be GIVING AWAY the finished set that you see in these photos! 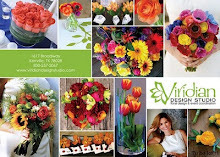 Follow my blog and post a quick comment and you'll be entered to win! Even if you don't have a tiny baby who would enjoy this set, it would make a wonderful gift! You have until 12:00 Noon on Monday, April 9th to enter and the winner will be announced on the following Tuesday morning! Best of luck! Special Stitches: Note – read these stitches even if their names are familiar. I may do mine differently, and of course if you have any trouble, do not get frustrated, message me first. I’m a crochet person…not a pattern writer, I’ll gladly walk you through. PUFF - Puff Stitch: Yarn over, Draw up a loop, 3 times, 7 Loops on hook, Yarn over and pull through all 7 loops. This pattern calls for 2 colors of Bulky weight yarn. Round 2: Tie on color 2 and cut color 1. In the corner Ch 1 space, PUFF, ch2, PUFF, *Ch 2, PUFF, Ch 2, PUFF, ch 2 * across. In corner Puff St, Ch 3, Puff St. Continue around. Slip stitch to top of first puff stitch to finish round. Note: Puff stitches go in the ch 1 spaces of the previous row. Round 3: ch 2, do not turn. 2 sc in each ch 1 space and 1 sc on top of each puff stitch, 6 sc in each corner space between 2 puff stitches. slip st to connect. Round 4: Ch 2, HDC in each st around, except around corners: in corners - HDC in the first 2sts, 2 HDC in the next 2sts, and HDC in last 2 sts. Slip st to connect. Round 5: Chain 5, do not turn, work round of crossed TC stitches. Round 6: Work round of PUFF stitches, same as Round 2 above. Round 7: Work round of single crochet 2 sc in each ch 1 space and 1 sc on top of each PUFF, 5 sc in each corner space between 2 PUFFS. slip st to connect. tie off and weave in ends. 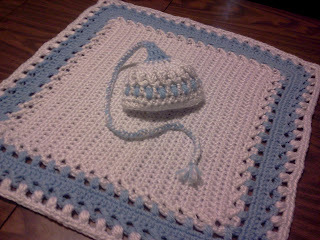 I love the hat, it is so cute :) The blue border is very unique. I haven't seen one done like this before. Amazing work!! Thank you :) I really need to work up the hat pattern. I've been crocheting for the majority of my life, but I've just begun writing down the patterns that I make up. I'm anxious to hear if fellow crocheters can follow my craziness :) Please let me know if you try it! 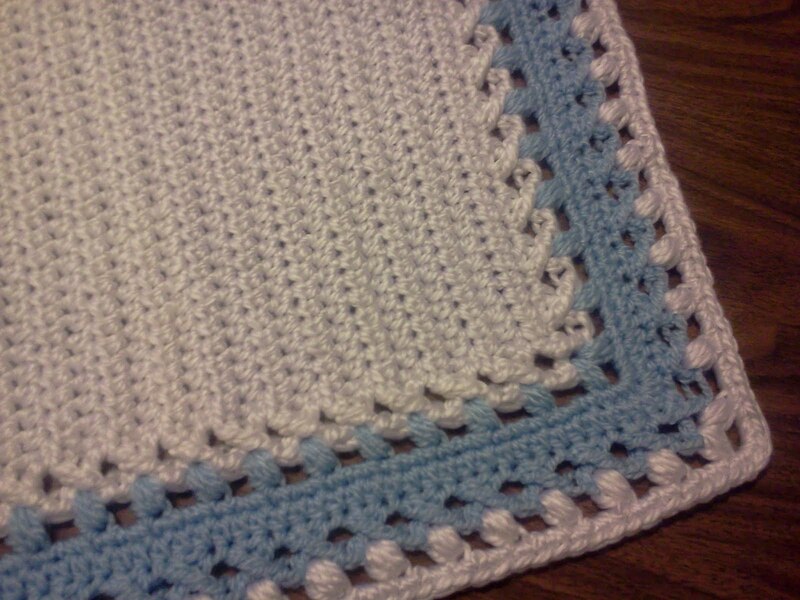 I love the use of the puff stitch in the border--makes a soft but sturdy look! This pattern is lovely and could be used for either boy or girl. The hat is so adorable! I love the long, long chain stitch tassel -- it gives the hat the elfish/impish look, so cute! I have a friend who is having a baby in June who would just love this set! Thanks for entering me in your contest! Such a cute border! I love it. I have just the person in mind to give this too. I have to try making it!! Let me know how it goes for you! If you have any trouble at all with the Crossed TC's on the border I have a posted tutorial at http://loveinthestitches.blogspot.com/2012/04/crossed-tcs.html or feel free to contact me. Did you just use one skein of each color? What size is this blanket?